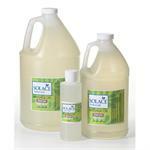 Solace Naturals is the all-natural choice for therapists who want to give their clients the best. Excellent for any modality. Made in small batches to ensure freshness. Custom blends available. 100% Grapeseed Oil, Grape Seed Oil is a light, penetrating and clean massage oil.